Some details of President Buhari lab results has surfaced on social media and is currently a trending topic. 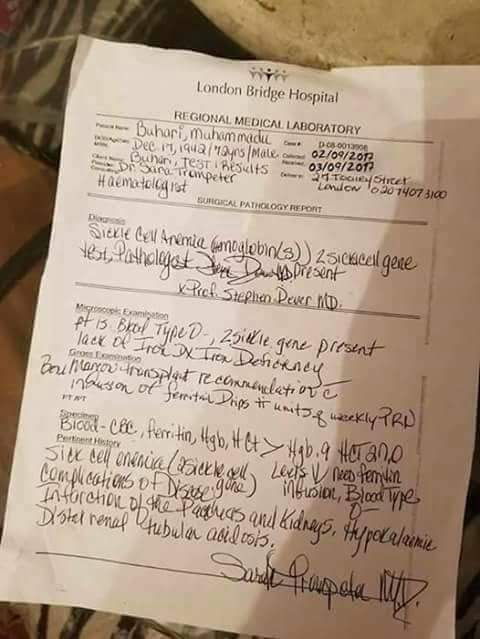 Below are some unconfirmed documents that indicates that President Muhammadu Buhari was confirmed dead after his treatment in London. Hahahahaha so you people are so scared of the president that you are now saying he is a ghost. Why deleting comments of others after leaving a space for comments? You are not innocent. 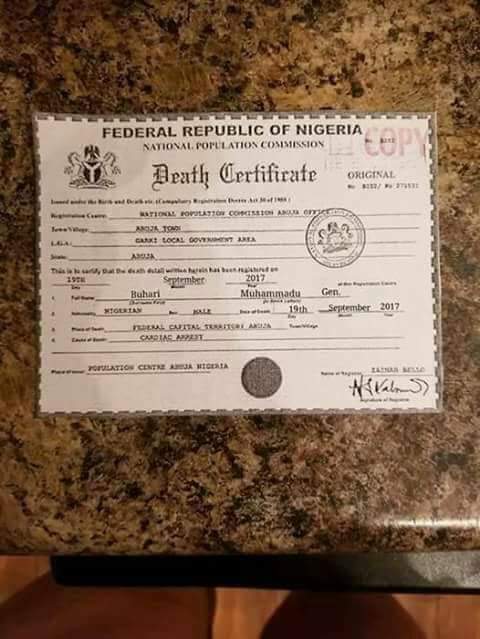 HOW COULD FEDERAL GOVERNMENT OF NIGERIA ISSUED DEATH CERTIFICATE TO PRESIDENT MOHAMMED BUHARIA? THIS IS SERIOUSE?